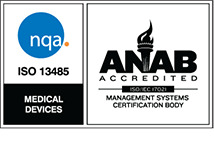 In 2016, National Quality Assurance, U.S.A. regulators passed long-awaited addenda to ISO 13485 – the medical industry’s benchmark Quality Management system standard. The regulatory revisions not only align varying jurisdictional product development and distribution guidelines, but add new process-based decision making and risk management checkpoints across supply chains and product lifecycles. The announcement also extended a three-year window for medical manufacturers and organizations to transition beyond the established 2003 ISO 13485 guidelines and demonstrate full compliance by February 28, 2019. Fortunately, a host of forward-thinking organizations immediately moved to refine their quality control procedures. Path-Tec, for instance, welcomed the opportunity and became one of the first specimen management providers to achieve ISO 13485:2016 compliance certification. By setting the industry standard, Path-Tec validates that its testing kits are produced and delivered to labs at full integrity and optimal quality. The rapidly approaching ISO 13485:2016 compliance deadline marks the ideal opportunity for medical manufacturers to reevaluate and enhance their quality control procedures. Even without the legal “have to,” companies should work against a clearly-defined Quality Management process to guide new strategies for risk mitigation and better meet customers’ dynamic needs. While compliance can be a frightening term, the path to more effective quality control should not demand a complete operational overhaul or significant resource investment. Here are five considerations that should be near the top of your process improvement checklist. In any aspect of business administration, having too many voices in the room can create confusion and hinder overall team progress. Quality Management compliance is no different. Organizations should appoint individual team members to specific roles in the improvement execution process and delegate tasks accordingly. For instance, Quality Managers and Quality Supervisors should oversee product quality maintenance throughout the entire cycle. They should work closely with, but not override, Quality Control Inspectors, whose job is to review all products and procedures and note potential inaccuracies or inconsistencies. Additionally, businesses should consider streamlining ISO consultation to a single, centralized partner, rather than having individual ISO consultants at each operational location. Quality Management teams should define and enforce clear procedures for better control and validation of production activities. Each employee should have convenient access to and in-depth understanding of work instructions, documented procedures and reference materials linking back to exact company guidelines. This clarity will ensure faster and more accurate task completion along production lines, and deliver properly identified and protected items throughout the manufacturing and shipping cycle. This better-structured production process should account for more seamless product identification and traceability, from material receipt through final shipment. Teams should assign unique identifiers to finished products, along with manufacturer, internal and customer part numbers which can take the shape of reject tags, acceptance labels or work order numbers. Beyond following the products themselves, companies can assign tracking tools to each employee for better visibility into who performs each inspection or test. With more widespread insights, businesses can make informed and efficient staffing, production and executional decisions. In a fully compliant, quality controlled medical environment, no product should be processed or used until it has undergone a thorough inspection. While it can be easy to move materials forward to maintain a fast-paced workflow, the long-term risks of doing so far outweigh the short-term benefits. As part of their general procedural review and improvement, medical businesses should establish clear “pass/fail” guidelines for incoming products. Unless a particular item meets all authorized documentation, it should be isolated and processed separately. This extra diligence will prevent potentially defective supplies from entering the field, and ensure that medical procedures move forward without compromise. 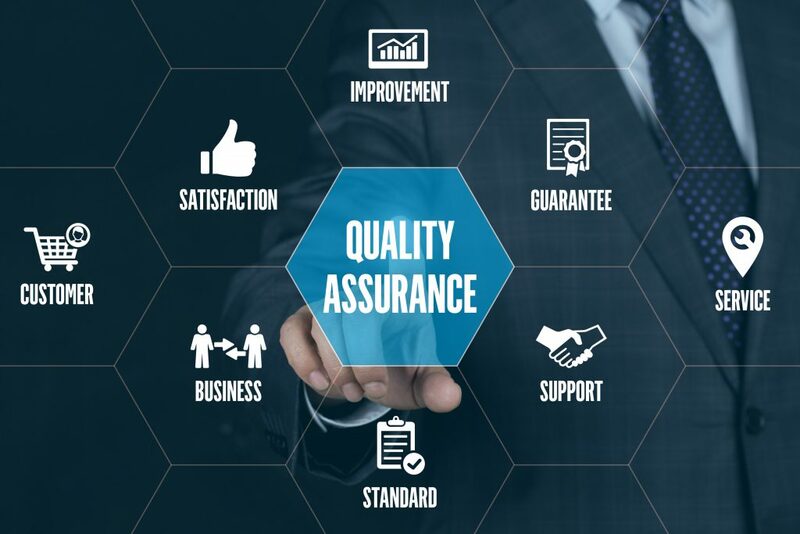 It can be challenging for and employees within a repetitive and familiar work environment to truly recognize quality control deviations. As a result, it’s not only okay, but recommended, for businesses to request external perspective and gauge the efficiency and security of their operational strategies. Direct customer feedback probably is the most valuable tool for early detection of potential quality problems and risk management hurdles. While returned products will speak the loudest, companies who take time to directly engage with customers through surveys, periodic meetings or comment forms will be better prepared to take corrective and preventive actions before problems escalate. For added validation, medical businesses also should consider bringing in a third-party Quality Management auditor. These individuals or teams can check adherence to required customer and/or regulatory requirements without bias, and identify gaps that internal teams may otherwise overlook. Quality control is fundamental for success in any business environment. In the medical and specimen management industries, compliance with regulations such as ISO 13485:2016 not only builds customer trust, but delivers better results. Take advantage of simple, but effective opportunities to refine your operations, and create a better model that will help your business, along with your partners and their patients, thrive.